If there's one thing Russians take seriously, it is literature. In Czarist Russia, the Soviet Union, and even today under Putin, poetry, novels, and journalism was and is a life and death affair. Writers, especially poets, are treated like rock stars. Or, in the past, they were murdered or sent to Siberia. Just how serious literature is to a people who love poetry and great writing -- the Russians -- is graphically illustrated In "The Zhivago Affair: The Kremlin, the CIA, and the Battle Over a Forbidden Book" (Pantheon Books, 368 pages, notes, bibliography, index, eight pages of photographs, $26.95) by Peter Finn and Petra Couvée. The authors combine a biography of the famous writer (1890-1960) -- best known before "Doctor Zhivago" as a poet and translator -- with an account of how the "Terror" affected writers and other artists under Stalin, along with a literary thriller. The authors are the first to obtain CIA files that positively show the role of the Central Intelligence Agency in the publication of the book in Russian and, at the 1958 World's Fair in Brussels, Belgium, find a way to get it distributed to Russian tourists. That same year, 1958, Pasternak won the Nobel Prize in Literature. At first, he accepted the award, but he was forced by Soviet authorities to decline it. The authors write (Page 262) that Pasternak's son, Yevgeny Pasternak, along with his wife, Yelena, traveled to Stockholm to accept the award, which was presented on Dec. 9, 1989 in a ceremony in the Swedish Academy. If all this doesn't sound like something out of John le Carré, I don't know what does! In fact, the story of the publication of "Doctor Zhivago" has an eerie resemblance to le Carré's The Russia House, published in 1989, which has a British publisher traveling to the same artist's village of Peredelkino. Americans aren't immune to the power of literature, as the banning -- and burning of a single copy -- of John Steinbeck's novel "The Grapes of Wrath" in California's Kern County (Bakersfield) in 1939 proves. 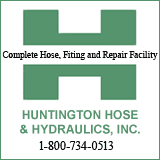 (For more about this, read my review of Rick Wartzman's "Obscene in the Extreme" :http://archives.huntingtonnews.net/columns/080908-kinchen-columnsbookreview.html). But what happened in Bakersfield is nothing compared with the killing of some 1,500 writers under Joseph Stalin, as the authors point out in "The Zhivago Affair". Somehow -- as his friends and neighbors went to their death in the basement of Lubyanka Prison or to the gulags -- Boris Pasternak dodged their fate. Stalin, who never met Pasternak in person, would often telephone the writer and use him as a sounding board about literature in the Soviet Union, the authors write. Stalin was well aware of the power of literature. Borrowing a phrase from Yury Olesha, Stalin called writers "engineers of human souls." The dictator said in 1932: "The production of souls is more important than the production of tanks.... And therefore I raise my glass to you, writers, the engineers of the human soul." After the publication of "Doctor Zhivago" in an Italian translation by D'Angelo's employer, Giangiacomo Feltrinelli, a wealthy left-wing capitalist in Milan, the CIA took an interest in a novel that had been refused publication in Russia. The "Company" had long been involved in getting its message to countries behind the Iron Curtain, but the publication of "Doctor Zhivago" was viewed inside the agency as its supreme black ops accomplishment. A copy of the novel is on display in the CIA museum in Langley, VA. I wondered what "Zhivago" meant in Russian and discovered it means "the living" in Church Slavonic (http://orthodoxengland.org.uk/zhivago.htm). That's an echo of another Russian Jewish writer, Ayn Rand (1905-1982, born Alisa Zinov'yevna Rosenbaum) who wrote an autobiographical novel on the forbidden topic of individualism in 1936 called "We The Living." 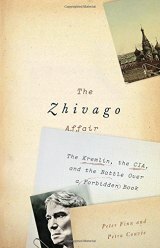 I found no mention of the CIA's involvement in the distribution of the novel in Tim Weiner's "Legacy of Ashes," a 2007 history of the CIA that I have in my personal library, so it's obvious that the authors of "The Zhivago Affair" came up with proof of the spy shop's involvement with the book. I won't go into the details of the book's distribution at the Brussels fair; it's a weird spoiler and I want readers to enjoy it! "Doctor Zhivago" -- which I'm guessing most people know through the epic 1965 David Lean film starring Omar Sharif, Julie Christie, Alec Guinness, Rod Steiger and Tom Courtenay rather than the novel itself -- is semi-autobiographical, drawing on incidents of Pasternak's life. He grew up in an assimilated Russian Jewish family; His father, Leonid Pasternak, was a noted Post-impressionist painter and professor at the Moscow School of Painting, Sculpture, and Architecture. His mother, born Rosa Kaufman, was a concert pianist and the daughter of Odessa industrialist Isadore Kaufman. Intellectual were frequent visitors to the Pasternak apartment. When Pasternak turned over the manuscript to the Italians, he understood the danger he was taking. Killing writers and sending them to gulags were not part of the post-Stalin Soviet Union in 1958 but he was expelled from the Union of Soviet Writers, effectively ending his income. He and his wife lived on their savings and translation work until his death from lung cancer in 1960. Why was "Doctor Zhivago" refused publication in the Soviet Union? After all, it was a realistic portrayal of events from the 1905 revolution to World War II. That was a problem to Soviet authorities: "Doctor Zhivago" dealt with individualism, rather than the collective view that was the approved version. Pasternak’s funeral in 1960 was attended by thousands of admirers who defied their government to bid him farewell, not to mention being marked by the all too typically Russian anti-semitism that was and is always close to the surface. One example: "He was a man of immense talent, but he's a foreign body in our midst." (Pages 156-7). The Nazis couldn't have phrased it more succinctly! The example Pasternak set launched the great tradition of the writer-dissident in the Soviet Union. "The Zhivago Affair" is a beautifully written, well-researched book that should reveal the plight of writers in a country where literature was vital to ordinary citizens. Events since Vladimir Putin took the reins of power show that not much has changed since the fall of the Soviet Union. Peter Finn is the National Security Editor for The Washington Post. Beginning in 1998, Finn spent 10 years overseas for the paper as the bureau chief in Warsaw, Berlin and then Moscow. His last overseas assignment was the Russia-Georgia war, and Finn returned to Washington in 2008. Petra Couvée is a writer and translator and teaches at Saint Petersburg State University. (Ayn Rand was a graduate of the same university, then called Petrograd State University. She was one of the first women to be admitted).